Hire the right contractor for your roofing job to ensure that the project glides along smoothly. Re-roofing our 1908 American Foursquare-style house reminded me of a Frank Capra movie. For once, things actually went as planned. 35 years ago, I installed a new roof on a different house, a modest ranch with a low-pitched roof. But at that point, I had the support of two helpers, and the work was hard enough. Now I’m a lot older, and the Foursquare roof is steeper and higher. So doing the job myself was out of the question. In other words, I needed to find a qualified roofing contractor. Impressed by the performance of some roofers I’d observed in my neighborhood—these guys were like a choreographed dance troupe—I searched around on the internet and before long, found the right company. I called and talked to the owner. He said he’d get back to me with a proposal after sending his foreman over for a look. After making several additional calls, I had two other companies to consider. Surfing a contractor’s website, I like to see signs of professionalism, such as Better Business Bureau accreditation, trade magazine rankings, or industry awards. Likewise, elite or master certification from a leading manufacturer demonstrates a commitment to training. If you really want to avoid all surprises, then pay close attention to those companies whose work has been officially recognized by the institutions that matter in the construction field. Go with a well-established company that can support its claims to quality with checkable references. Online testimonials are nice, but they’re not as trustworthy as speaking directly to another human being. Positive reports on a site like Angie’s List should not be ignored; simply remember that not every contractor worth considering has been reviewed online. When possible, go out and visit roofing jobs completed by the companies on your short list. 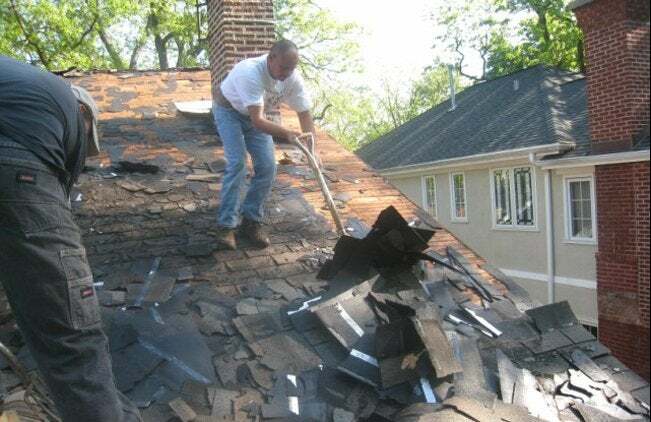 A contractor must see the roof in question before he can submit a bid. Expect each candidate in the running for your business to offer insights on the work involved, including your best options and the estimated time required. Should you meet a contractor who is not willing to explain his estimate in depth, move on to the next candidate. 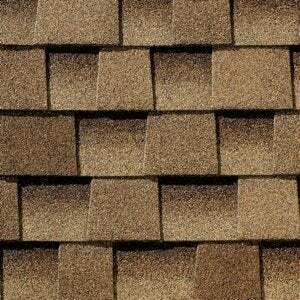 Here’s how the meeting went with the company that my wife and I ultimately chose to hire: The contractor showed us several samples of the shingle product we were interested in. Then he told us about his company, started by his father-in-law, and about the eight-man crew, which had been together for eight years. And he went through his typed proposal with us, line by line. The proposal included everything from ice-and-water shield to site cleanup and warranty details. I knew he was the right contractor for the job. A week later, a crew and dumpster showed up at the house. In a few hours, the old roofing had been removed, and new plywood sheathing had gone up. By the end of that first day, in fact, half the installation was complete. Within another 24 hours, the job was completely done. And when I inspected under shrubs in the garden, I did not find a single nail. As I looked up at the new roof, sunlight danced on the shingles, birds chirped, and the sky filled with music. Frank Capra came to mind, and I thought: It’s a Wonderful Roof!